A couple years ago, Mel and I made a giant squid for this show. (2009 highlight, a mutant piñata of ‘The Octomom”) I always forget about it every year, but not for 2012! If you have any ideas, please list them. I will be starting to prep in February. 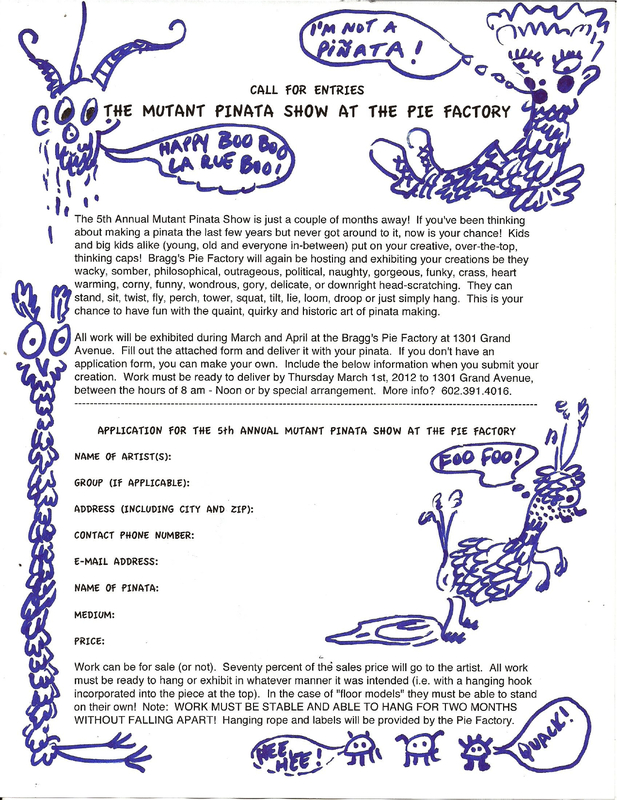 It’s free, it’s fun, and then you get to go see a bunch of mutant piñatas. Can’t really beat that.